As you can probably guess, I’m a big advocate of keeping some sort of a journal, thus the name of my blog, but if writing in a journal doesn’t suit you, may I suggest that at the very least, you’ll find that keeping a gratitude journal is good for your soul. Seeing my life through the lens of gratitude, I am more willing to count my blessing and recognize the genuine goodness in others…and myself. 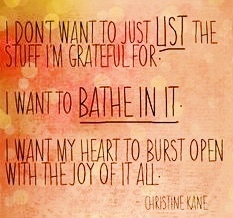 I also find that I can even experience gratitude in some of the most unexpected and difficult moments. • A conscious decision to record gratitude seems to improve a person’s overall happiness in life–you’re focusing on the good! 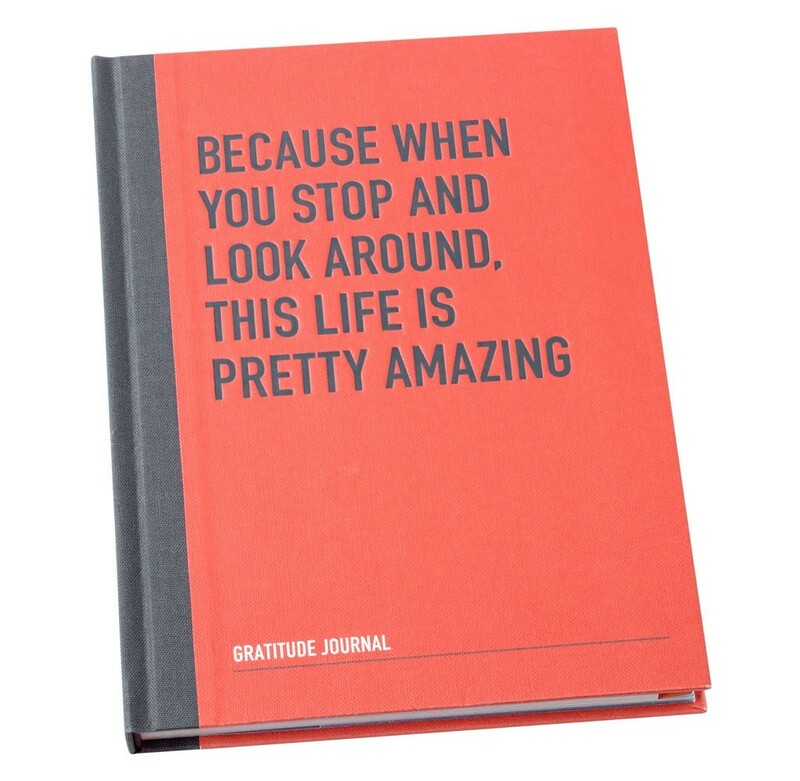 • Gratitude journals are a great way to help you see those good things in your life as gifts…doing this helps you relish them more and guards against taking them for granted. • Elaborating on one or two specific things you are grateful for, rather than making a lengthy superficial list, gives more depth and meaning to keeping a gratitude journal. 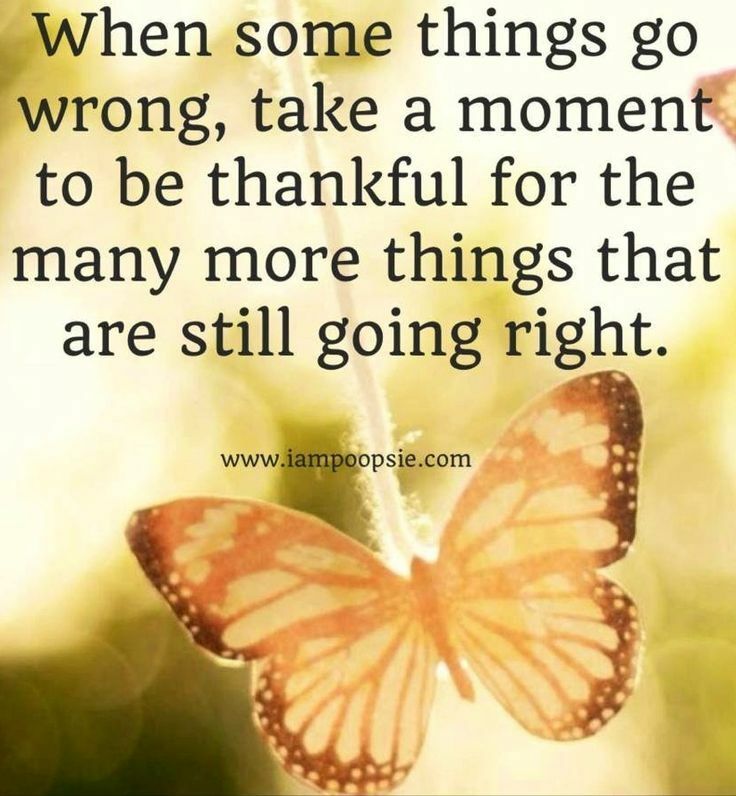 • Reverse psychology suggests that one of the ways you can create a more grateful outlook is to reflect on what it would be like if you didn’t have some of the blessings you enjoy each day. • Research has found that writing in a gratitude journal more than once or twice a week was counterproductive to the overall gratitude experience. This might be because evidence shows that we tend to adapt to positive experiences quickly and can become numb to them. 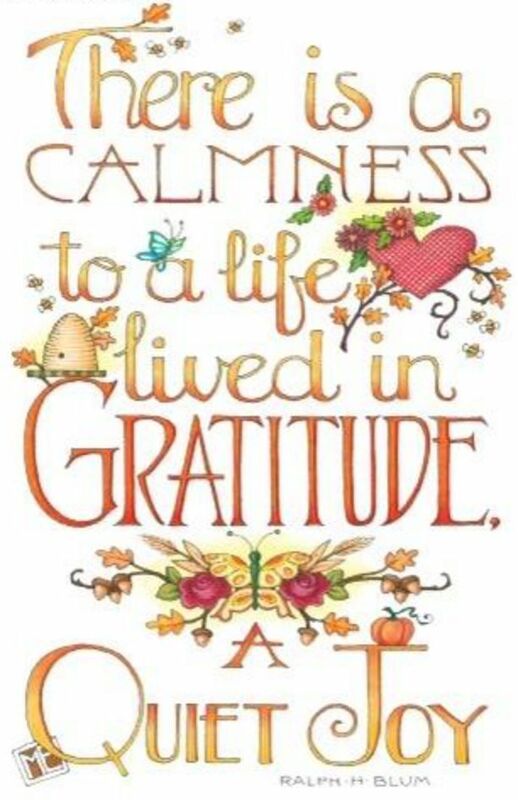 Try to savor the wonderful experience of gratitude and make it special! In looking over this list, I realize that keeping a gratitude journal helps me be more intentional in appreciating the relationships and experiences I have and how they truly create joy in my life! “Gratitude Rocks” by Café Press. This journal is just fun! The bright novelty look can’t help but inspire you to want to write down what you are grateful for. It seems like it would be the perfect gift for any teenager or “young at heart” person in your life! (That should cover about everyone!) I’ve found this at specialty stationary boutiques or you can purchase it here. “Life Is Pretty Amazing” by Kikki K. If ever there was the perfect statement to motivate you to keep a gratitude journal, this journal has it in spades. Some of the pages come with inspirational quotes to get your grateful juices flowing and there are a few different formats for writing down your thoughts too. You can buy the newest edition of this creative journal here. 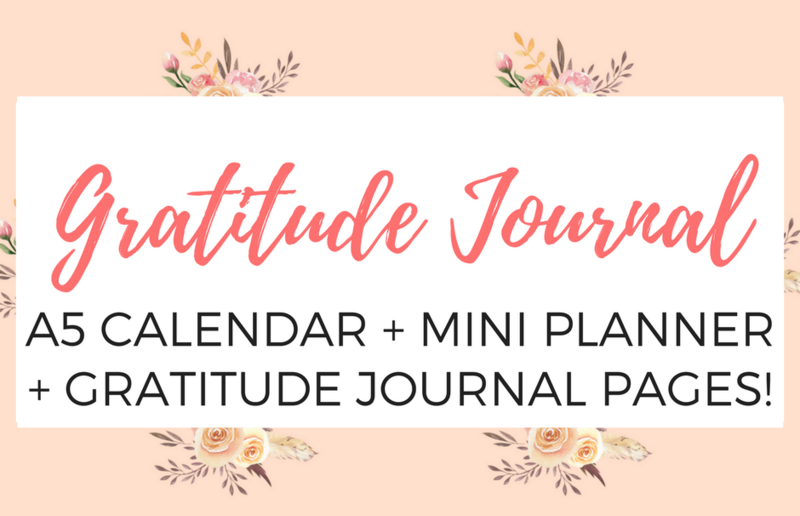 “Gratitude Calendars + Journals” by Printables and Inspirations. My mother used to keep a yearly calendar that allowed enough space for her to write a line or two of her grateful thoughts each day. If this sounds appealing, you will find a beautifully designed, free download here. 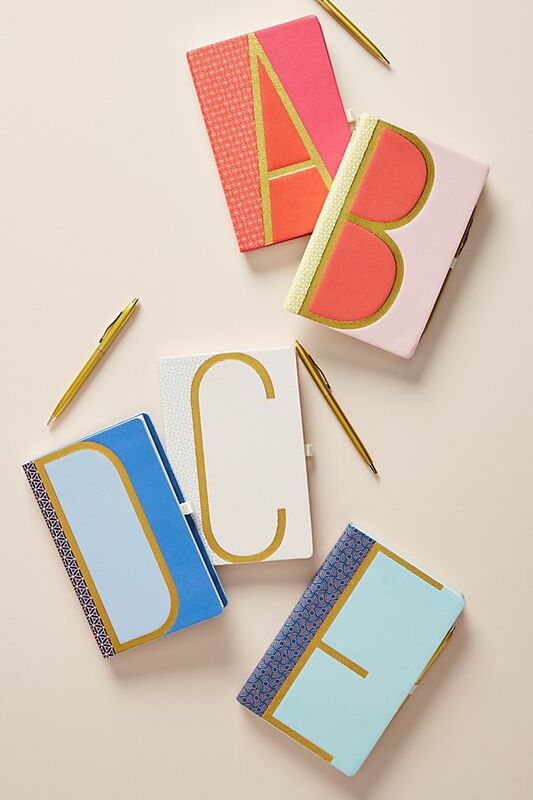 “Monogram Journals” from Anthropologie. I always think a personalized journal makes a great gift for that someone special. These ones from Anthropologie have a colorful leather-look cover and come with a gold pen. You can check off your gift list by getting some here. 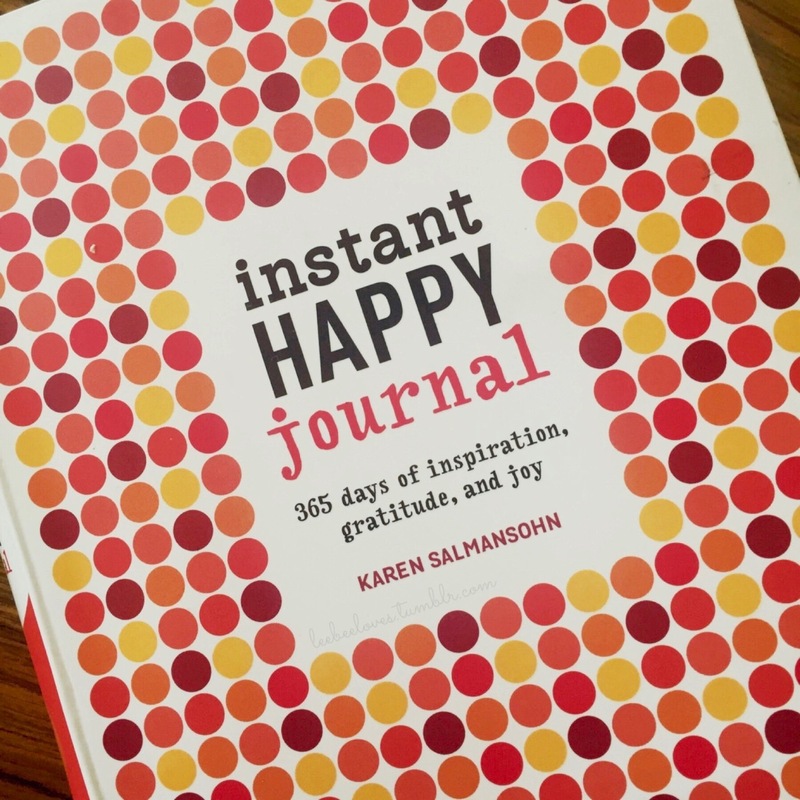 And lastly, “Instant Happy Journal” by Karen Salmansohn. For a unique twist on a gratitude journal, this one promises to amp up your ability to notice and create more joyous moments in your day. This journal also has fill-in dates, so you can write and reflect at your own pace. I talked my cute hubby into doing this journal together. While he doesn’t write in it as often as I do–his insights are thoughtful and funny! Get it on Amazon here. At the very least, I think keeping a gratitude journal can help lift our spirits and inspire us to look at life’s everyday challenges with a more positive perspective. Have you ever kept a gratitude journal? Please share any ideas you have on making it a good experience and you might just find yourself getting one of my favorite gratitude journals! In this day and age of continuous negative news cycles and disheartening social media onslaughts…did you ever stop to consider that we all have the power to make life a more positive experience, not only for ourselves, but for others, as well. I believe that our ability to express a sincere, “Thank You” has the potential to motivate, create good will, make peace, and solidify friendships, love and commitment like few things can! In this season of Thanksgiving, let’s seriously consider these two compelling words…and perhaps in the process we’ll become more mindful of using them more often all year long!! The Power Of Saying Thank-You! ♥ Saying thank-you creates an attitude of gratitude! 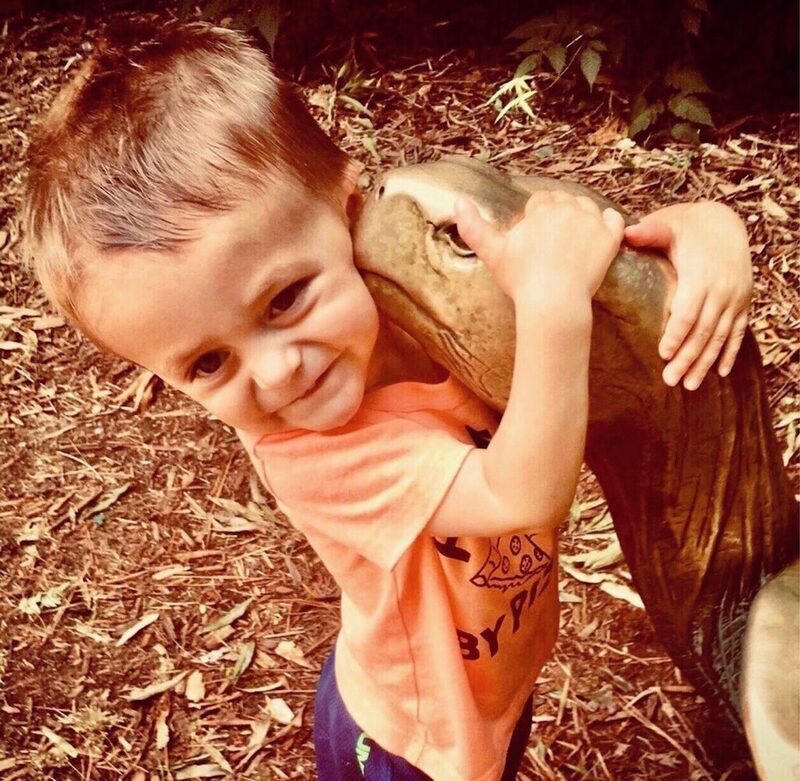 Imagine my delight when I heard that a few of the first words my sweet, two-year-old grandson, Elliot, learned to say were please and thank you! 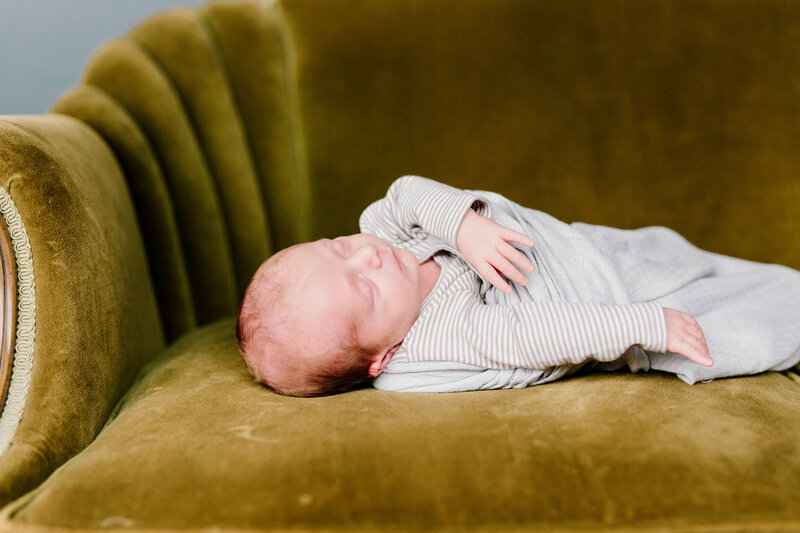 This important lesson of learning to be grateful for what your parents and other loved ones do for you at such a young age can’t help but have a profound influence on your view of the world around you. 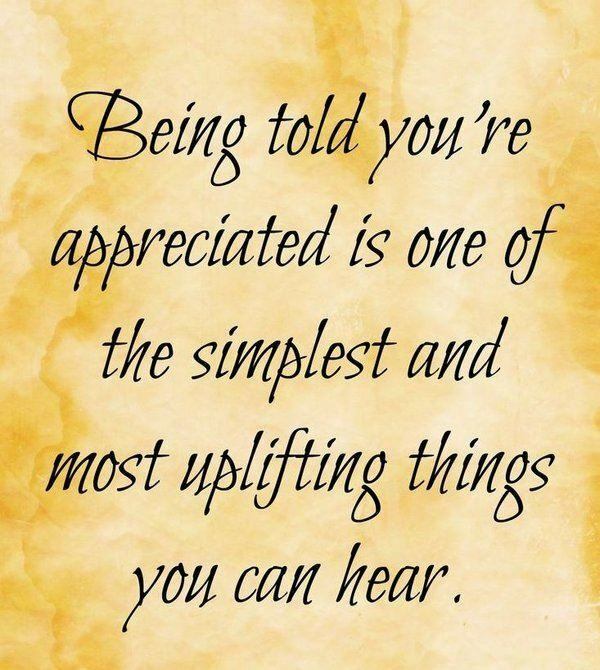 I’ve certainly found that the amount of appreciation I am able to express has a dramatic impact on how I relate to others and my perspective of their thoughtful contributions to any situation they may encounter. An attitude of gratitude seems to nurture a genuine hope in all the good things that life has to offer. As parents, isn’t this one of the greatest desires of our hearts–at least as far as our children are concerned? 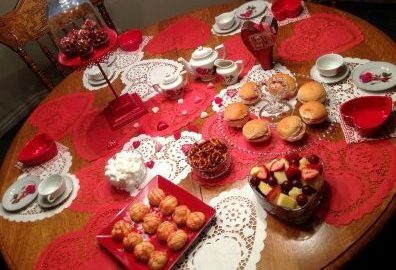 ♥ Saying thank-you promotes helpfulness! It seems like such an obvious conclusion, but researchers who conducted a Harvard Review study on gratitude found that receiving a sincere thank you has a significant impact on our ability to be helpful. Their findings showed a more than 50% increase in the amount of additional help that was offered as a result of appreciation being expressed; it’s validation that our contributions are meaningful. All I know, is that I can vouch for the fact that when my husband notices the things I do to help make our household run more smoothly, it enhances my feelings of being valued, making me want to work even harder to show my strong commitment to our marriage. ♥ Saying thank-you keeps us humble! While we’d all like to think that we can forge ahead in life relying on little more than our own skills and ingenuity, the truth is, we need each other! I have a dear friend who worked as a charge nurse on our maternity and NICU unit for many years until her recent retirement. 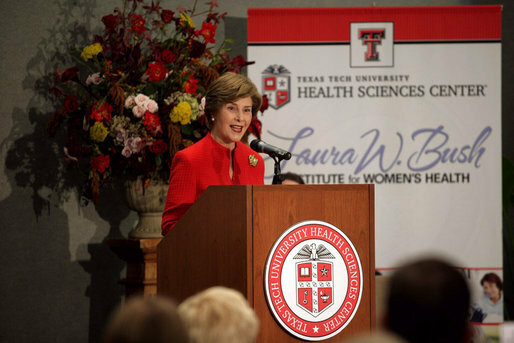 Her leadership skills were impeccable, she respected the doctors on our staff, but most importantly, she always took the time to express her genuine gratitude for every nurse she worked with and each one’s unique and individual talents. 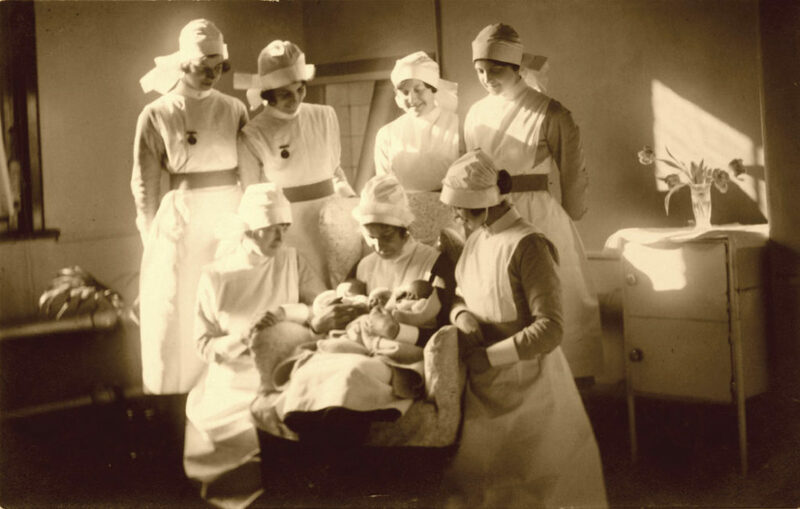 You see, while she was very capable in her own right, she had the foresight and humility to realize that it took a tremendous amount of teamwork to give our patients the quality care they deserved, so she was always quick to say thank you and be appreciative of the everyone’s valuable contributions! Acknowledging that our success in life is dependent upon the special relationships we have with others, and expressing gratitude for the efforts they make on our behalf to help us become the best versions of ourselves…is the epitome of being truly thankful! 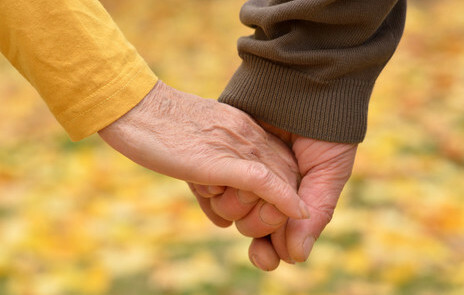 ♥ Saying thank-you improves health and fosters resilience. Wow…that seems like a tall order for two simple, little words! But according to research studies done on this very topic by Lisa Aspinwall, PhD, a psychology professor at the University of Utah, it was proven that grateful people are more optimistic because they notice more good in their lives and that translates into a healthier immune system, which ultimately means you harbor less stress. In fact, it was determined that being mindful of the things you’re grateful for each day actually lowers inflammation in the heart and improves rhythm. Professor Aspinwall also concluded that even in the face of tremendous loss or tragedy, such as a terminal diagnosis or death of a loved one, it was possible for people to feel thankful; this positive energy often served as a buffer against the ill-effects of their circumstances because they tended to focus their attention outside of themselves to viable treatments and supportive relationships, rather than adopting an inward “woe is me” self-pitying view of life. ♥ Saying thank-you is just the right thing to do! While expressing genuine gratitude may take a little time and effort, in a world that seems to focus more on all the negative fodder around us, if something as simple as expressing appreciation can increase our happiness and positive outlook on life…why not do it more–seems like good karma to me! Not only is saying thank you a good social skill that might brighten someone’s day, our own lot in life seems to appear better when we are thankful. 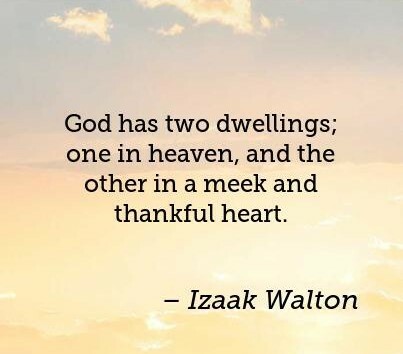 My dad always used to say that being grateful, for even the smallest things…our families, good health, a new day to go out and make a difference, to name a few, brought him a sense of contentment in his life that was hard to get any other way! Here are just a few things I think are good ways to express gratitude and have an overall happier outlook on life! · Write in a gratitude journal. Think of something new each day. 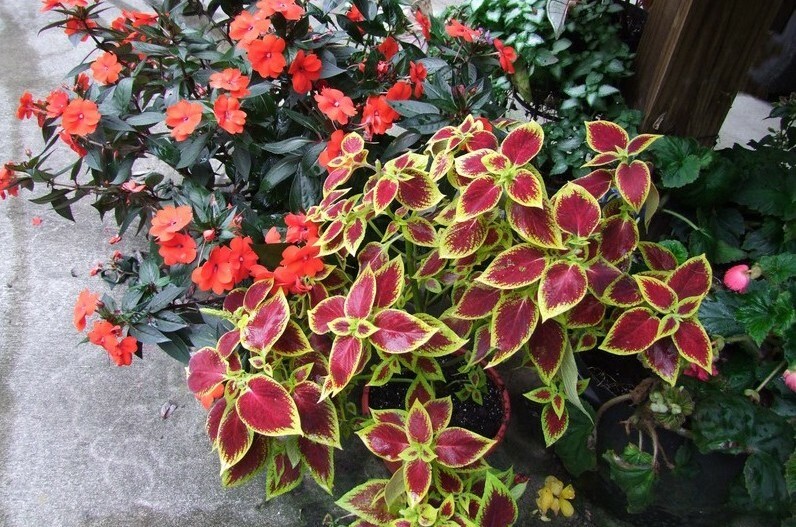 · Show thoughtfulness to others. Goodness seems to be contagious. · Write a thank you note. Acknowledging kind deeds expands our hearts. · Tell someone sincerely how much you really appreciate them! I hope everyone has a wonderful Thank You season! 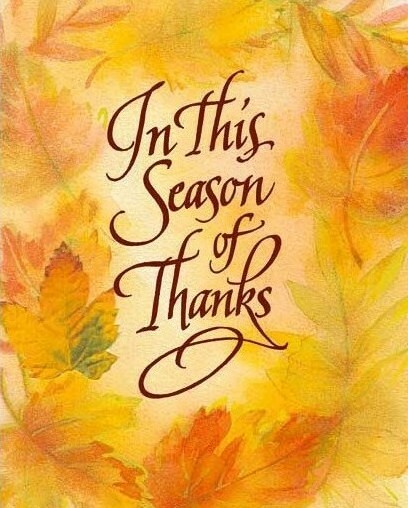 I would love you to share any thoughts you have on being thankful. 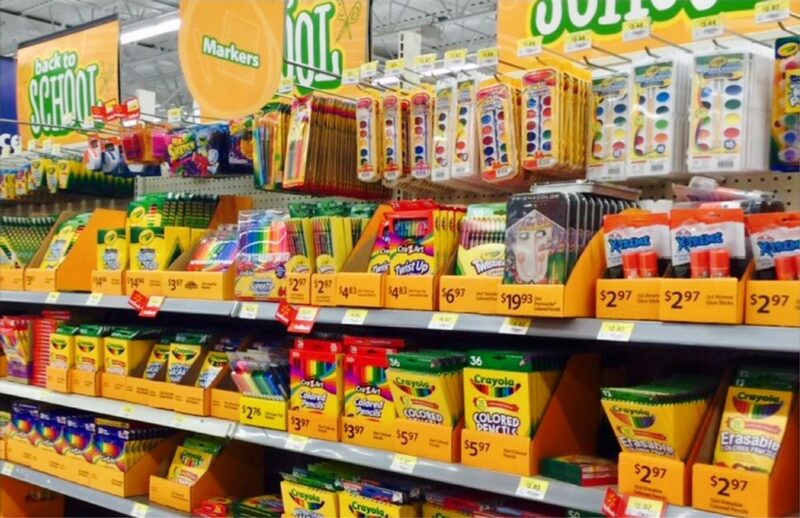 As I walked into the store the other day…there was a stark reminder that summer will soon be over…say what! It was always a little bittersweet sending my kids back to school; of course, it was fun to be a little more relaxed and spontaneous during the summer, but it was also nice to get back on more of a routine schedule. I am related by blood to many wonderful educators. I also had many fabulous teachers during my 13 year stint in public education, as well as many beloved professors during my college years. Sadly, I appreciate the talent and greatness of these wise people, who made a lasting impression and helped me realize my full potential, so much more now than I ever did then. 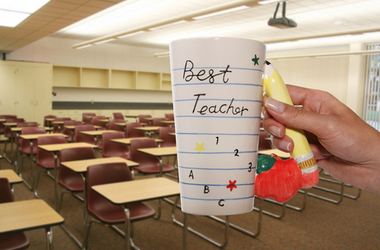 It’s never too late to recognize the influence of a good teacher…so here’s my tribute to teachers! My dad, a brilliant teacher, offered up these words of wisdom often! Teachers don’t show up and sit behind a desk…they stand all day, talk all day, interact all day and learn all day. Teachers are busy people. Teachers know the work is challenging, but they’ve accepted the task and know they can be an amazing influence on their students by the sheer example of their own work ethic! They may not be as prompt as you’d like at returning emails and phone calls, but the important stuff…the teaching…that’s what they’re getting done! 2. Teachers foster a deep love of thinking and learning! Even though every student learns at a different pace, teachers are devoted to making sure each one is learning and understanding. Teachers don’t accept failure and try every angle and every strategy to help students learn and succeed. Teachers gladly celebrate students accomplishments and although teachers know they only have their students for a short period of time, they are proud to see them succeed and move on. I still remember my third grade teacher, Mrs. Larsen. 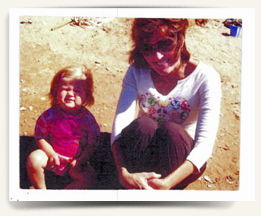 I don’t think I will ever forget how enthusiastic and full of life she was–even at 60 years old. She brought so much joy into the classroom, and that’s a lesson that will stick with me forever; whatever you do…find joy in doing it! In their own creative ways, it’s not unusual for teachers to suddenly sing, dance or take part in any assortment of silly activities just to show that learning something new can be fun. Teachers are mentors, coaches, supporters and yes, even friends! Really, what can’t teachers do? 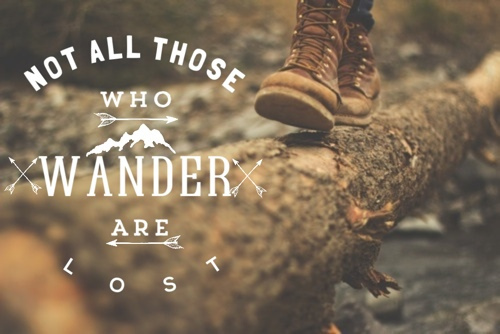 And when they can’t…they’ll find a way! Teachers are also very adaptable. They are quick to change a lesson or an entire class on a moments notice–which definitely comes in handy when the fire drill or unplanned assembly interrupts. 4. 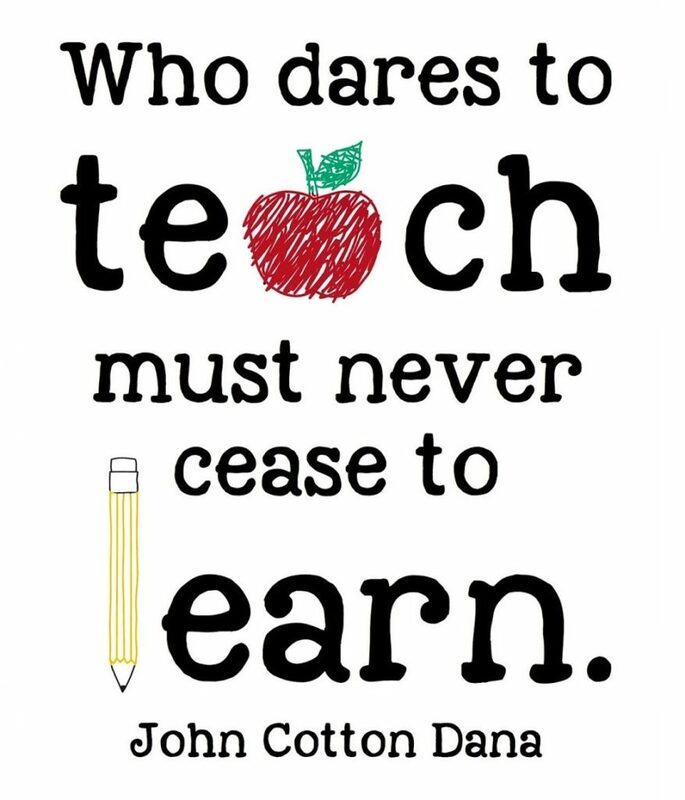 Teachers are lifelong students! Teachers are committed to being the best teachers they can be. 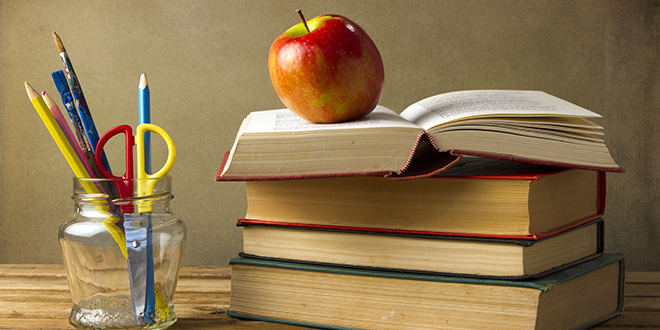 Teachers continually take outside courses and professional training development. Teachers share ideas with one another and sit in various classrooms to learn new teaching techniques. Teachers learn from their students too. Every strength a great teacher possesses is a result of their desire to continue learning themselves. 5. Teachers love what they do! Teacher have been trained in a field with low pay and very few tangible rewards!! Teachers know how to make the most of a lesson plan with little money, no supplies and limited time. Despite the challenges that come with being a teacher, teachers love what they do and try to do it better every day, because they know they are making a difference in their student’s lives. The joys of teaching can be so overwhelming and far-reaching that teachers inherently know it is one of the greatest professions on earth. Student education requires team effort–so as kids get ready to go back to school, let’s all do our part to be involved…perhaps we can start by simply showing our sincere appreciation for teachers! 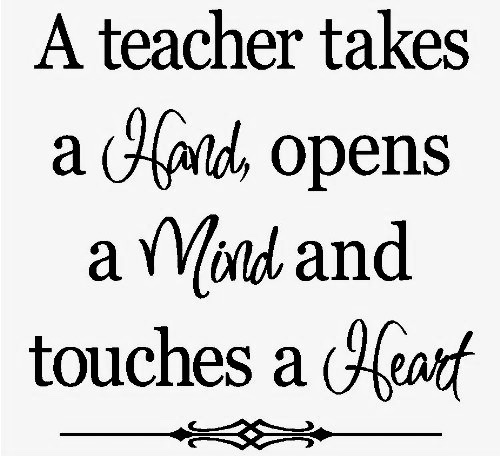 We love teachers because they make us love working with them and learning from them every day! 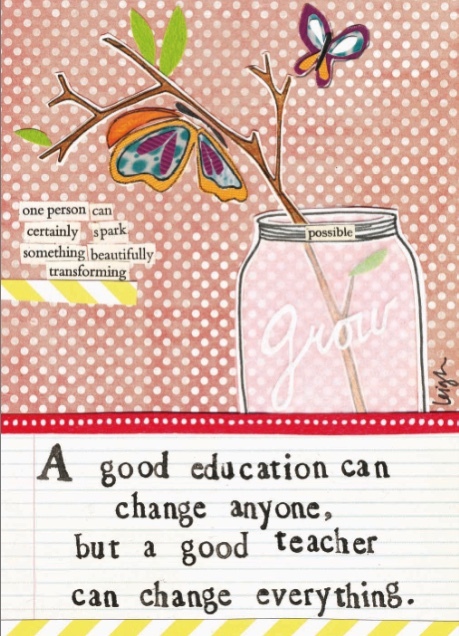 I’d love to know how a great teacher influenced your life!